- Beautiful wedding dress that has never been worn. It still has the tags on it. No alterations were done to the dress. This dress was bought in New York City from a store called Designer Loft. It’s a size 12 but probably more like a street size 6/8. - Designer Rosa Clará creates dreamy wedding and evening gowns for women seeking that elusive blend of elegance, allure and sophistication. very dedicate lace. 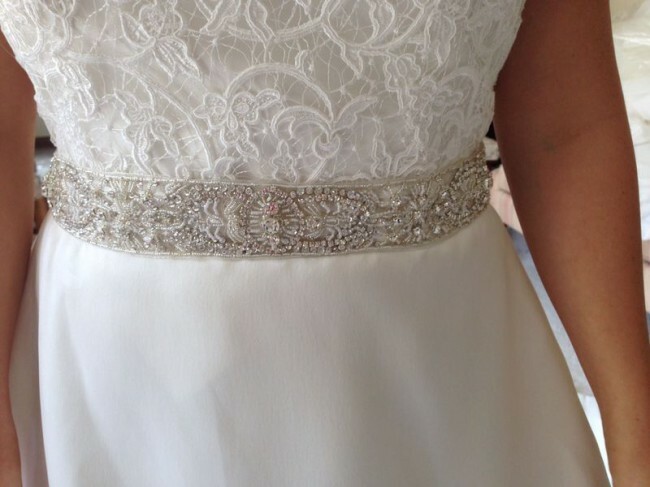 Rosa Clara - MIRANDA Mikado and guipure dress and belt with beading in a natural colour.